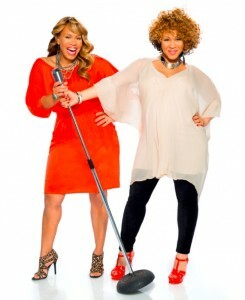 Mary Mary Are Gearing Up For Their New Project “Go Get It” & Reality TV Series! Sisterly duo Mary Mary are starting off 2012 right with a new single, the title track, from their forthcoming project “Go Get It“. They are also preparing for the premiere of their reality TV series on WE tv, which will begin airing March 29th at 10pm. Mary Mary are coming off of the heels of a successful 2011 with their “Something Big” project, ASCAP award, BET Awards, and the list goes on. Erica and Warryn Campbell welcomed a new child into their family as well. We are all anticipating great things from the group this year and beyond. You can check out the single on Soundcloud. This entry was posted on Wednesday, February 15th, 2012 at 4:37 pm	and is filed under Album Releases, Artist News and Updates, Television. You can follow any responses to this entry through the RSS 2.0 feed. You can leave a response, or trackback from your own site.